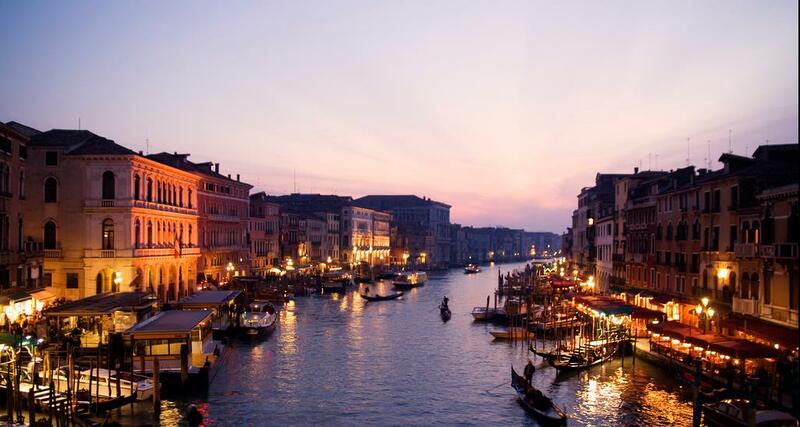 If you’re planning a European vacation, you should strongly consider visiting Venice. Located along Italy’s Aegean coast, this gem of a city has a ton to offer to everyone. Whether you’re a lifelong musician and want to see where Vivaldi composed his masterpieces or just want to sample some delicious Italian fare, you won’t forget a Venetian vacation any time soon. Here are some of the best things to do in Venice. Taking a ride on a gondola is the number one thing you have to do when you’re in Venice. In case you don’t know much about the city, Venice is uniquely situated on a series of canals. Traveling by waterway is an entertaining way to get around town. The canal system is perhaps the most famous aspect of Venice. There are few places in the world where you can take a gondola ride, so don’t pass up the opportunity while you’re in the city. par. When I was in Venice, I had been playing the violin for thirteen years and wanted to hear music played by the masters. During my visit I splurged on the Venice Baroque Orchestra, and I would highly recommend their concerts. Friends have told me the orchestra of La Fenice (“The Phoenix”) is also one of the best in Italy. Even if you don’t like classical music, visiting the opera house, Teatro La Fenice, is worth it because of the stunning architecture. Maybe you don’t want to spend an hour trying to find the Teatro La Fenice like we did. Although seeing the Teatro was definitely worth it, you may want to be more efficient with your travel time. By visiting St. Park’s Square — or Piazza San Marco in Italian — you’ll see three popular destinations at the same time. The Piazza San Marco is home to St. Mark’s Basilica, Torre dell’Orologio and Doge’s Palace. If you know a lot about churches you’ve probably heard of St. Mark’s — the basilica is of the most famous spots in all of Italy. If you’re less familiar with the other two destinations, Torre dell’Orologio is a clock tower built at the turn of the fifteenth century and Doge’s Palace is where much of the city’s judicial activity used to take place. Venice was once home to some of the world’s most famous artists, so you shouldn’t be surprised that some of the greatest art is still there today. You can find some of Italy’s best art in the Gallerie dell’Accademia. Don’t just look for art in museums though — there are plenty of Venetian masterpieces on church ceilings and other structures. The frescos at the Pietà and Ca’ Rezzonico are nothing short of breathtaking. Venice is famous for its beautiful glass blown jewelry and trinkets. No visit to the city would be complete without a glass blowing demonstration. The Museum of Glass is located on the nearby island of Murano, but it’s easy to get to on foot or by public transportation. Admission to the museum only costs four Euros, and when my family and I went we saw a demonstration for no extra charge. We all bought a few pieces of glass for ourselves and friends back home. Murano glass is a unique and beautiful souvenir. BIO: Patricia is a freelance writer for rbacentralpa.com and blogs about travel, health and communications. Venice is one of my all-time favorite cities. All your suggestions are exactly right. I would also add: Remember to get away from the beaten track. Wander away from St. Mark’s Square for at least one afternoon. The city is very different, and quite amazing, when you find the quiet corners and back streets away from the tourists. Don’t be afraid of getting lost – you’re on a small island and never very far from the main attractions. Thanks, Rosemary! Very true! When we visited we literally got lost for 3 hours wandering through all the small roads–looking back it’s one of our best memories we made as a family.